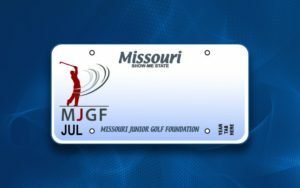 The Missouri Junior Golf Foundation is a non-profit corporation established back in 1998. The Foundation board of directors along with the MGA Executive Director oversee the purpose of the Foundation. The Foundation also conducts all junior golf programs to bring the game of golf to those who would not otherwise have the opportunity to play the game of golf. Under the direction of the Foundation we assists in collegiate golf events in the State. The Foundation owns the Ken Lanning Golf Center. KLGC is a 9 hole golf course located in Jefferson City. The KLGC was built for players of all ages and abilities so that everyone has the opportunity to play golf. The Foundation conducts a Junior Amateur Championship a Junior Match Play Championship for golfers ages 14-18, the Foundation also conducts the Missouri Junior Tour (est 2017) to provide golfers of all abilities 8-18 to compete in a tournament format. The MJGF is located at 1616 Oil Well Rd, Jefferson City. You can contact us at 573-636-8994.